The Taupe Round Dixon Umbrellas will provide you with cool shade for six to eight people around your dining table or relaxing area. It has an easy to use pulley system that opens and closes the canopy. 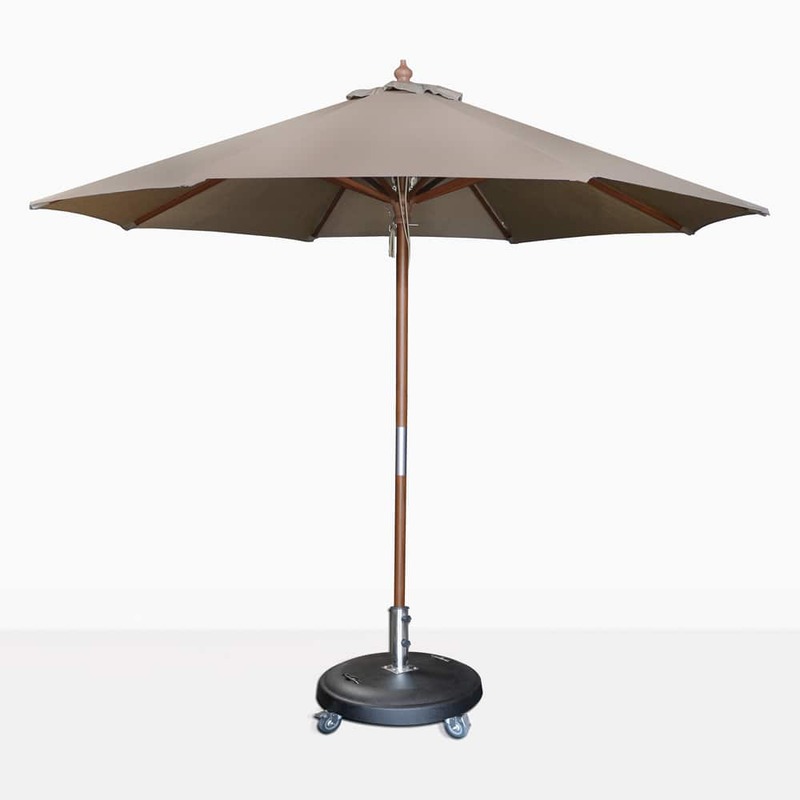 The canopy fabric is Sunbrella® for non-fading and sophisticated shade protection. The finishing touch is a classy looking hardwood pole. The base shown is not included in the price.